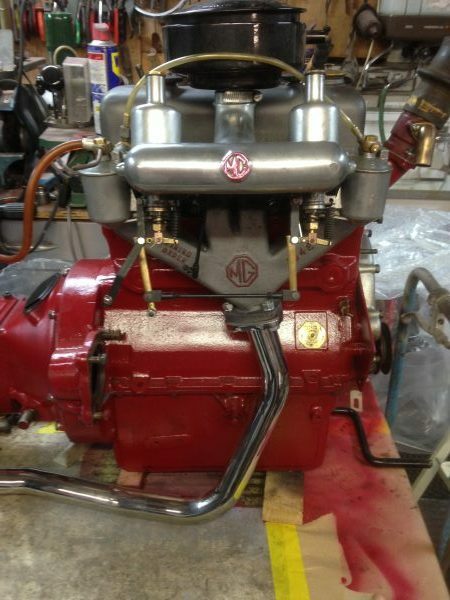 This red MG TD was bought by us in California back in 2015. The car at that time was a running, unrestored project car with a solid chassis and body. 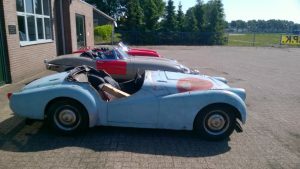 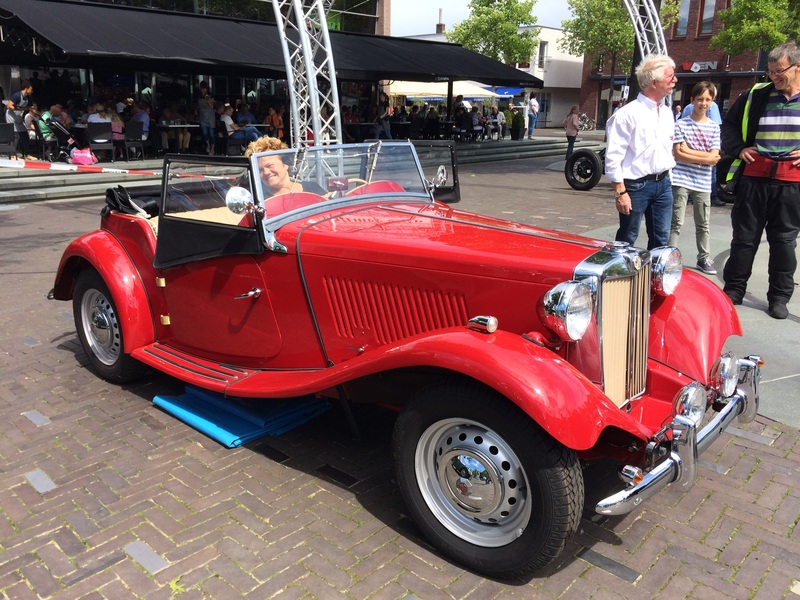 We sold the car to a Dutch MG enthusiast, born in the same year as the car: 1952. 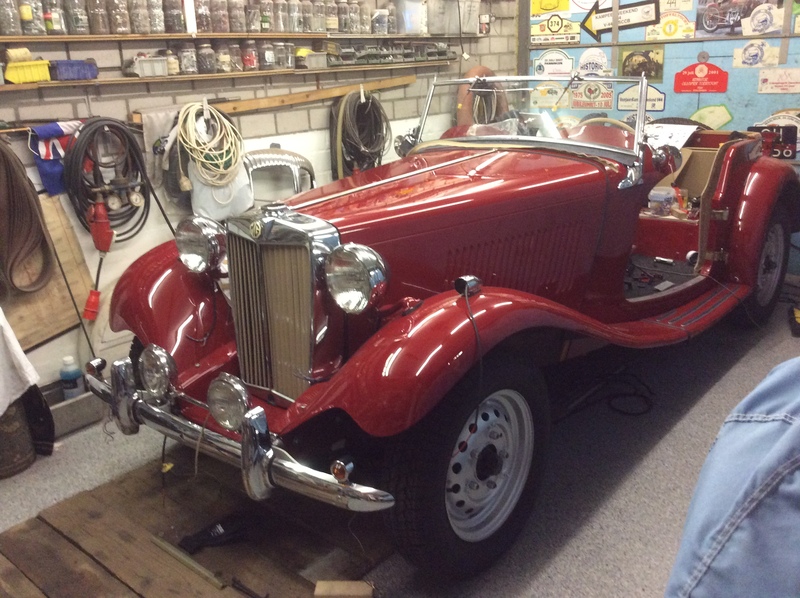 Having restored several classic cars before, owning an MG TD had always been a dream for him. The dream became reality with the purchase, but it also meant that he would need to put in a lot of effort to make the car pristine again. Although the MG was still well preserved, it needed to be completely restored. 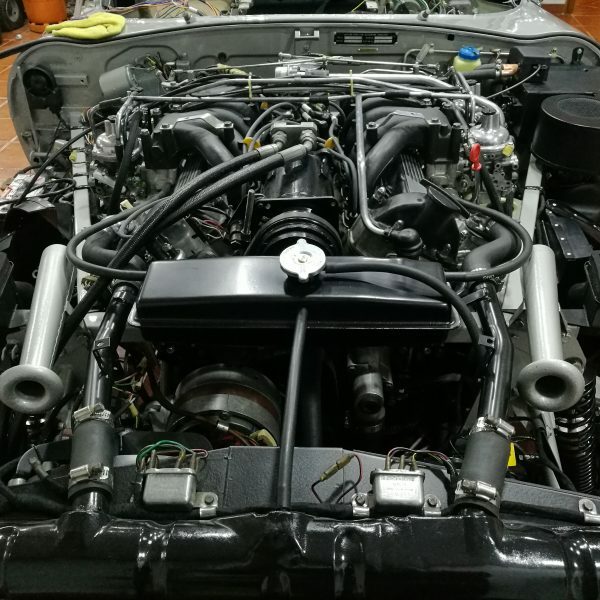 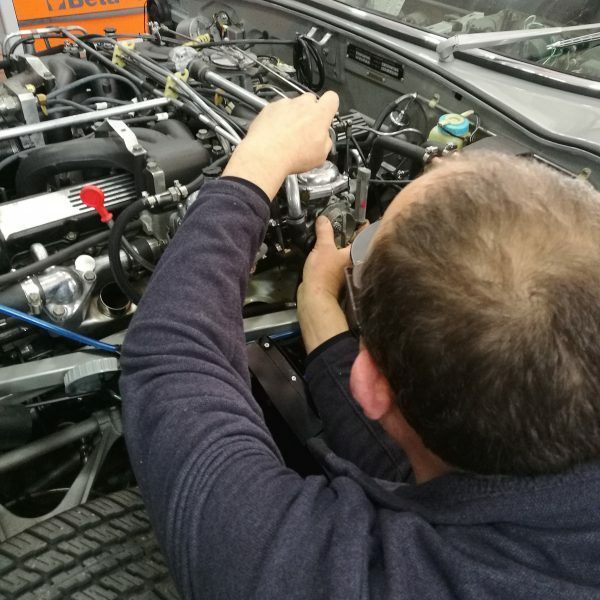 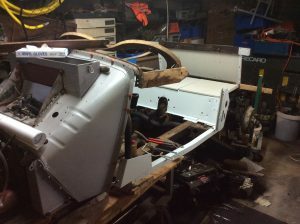 That is why the car was completely disassembled and rebuilt with a lot of dedication and attention for detail. 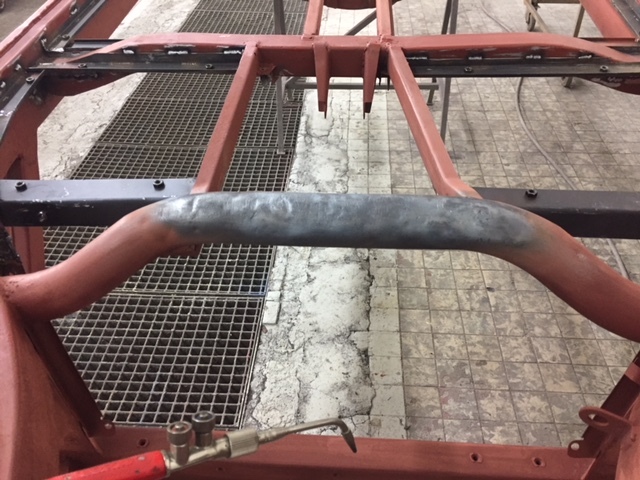 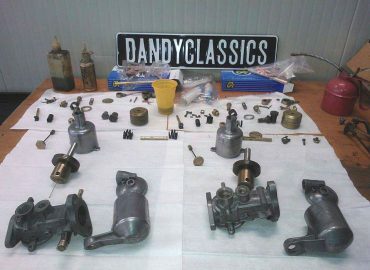 It is noteworthy that everything was done in-house, with the exception of bead blasting and spray painting. 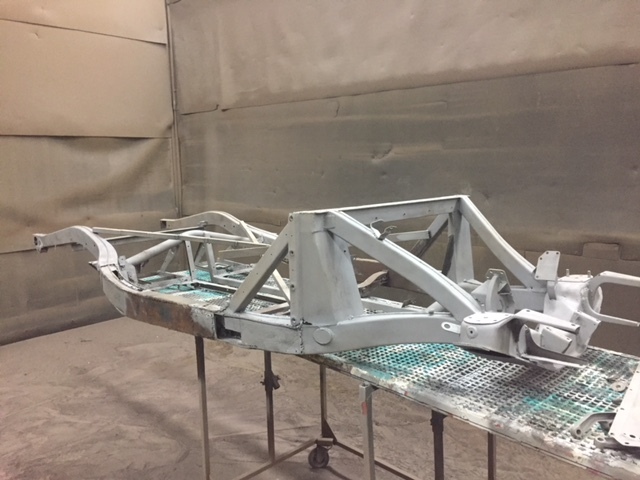 The TD now looks great and is ready for it's 2nd youth. 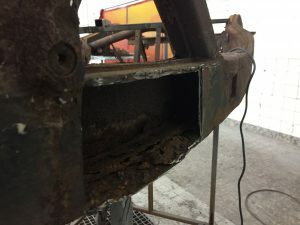 Clearly a result to be proud of. The 1950 MG TD Midget was an evolutionary model in the T-series, which originated in pre-war TA and TB sports cars. 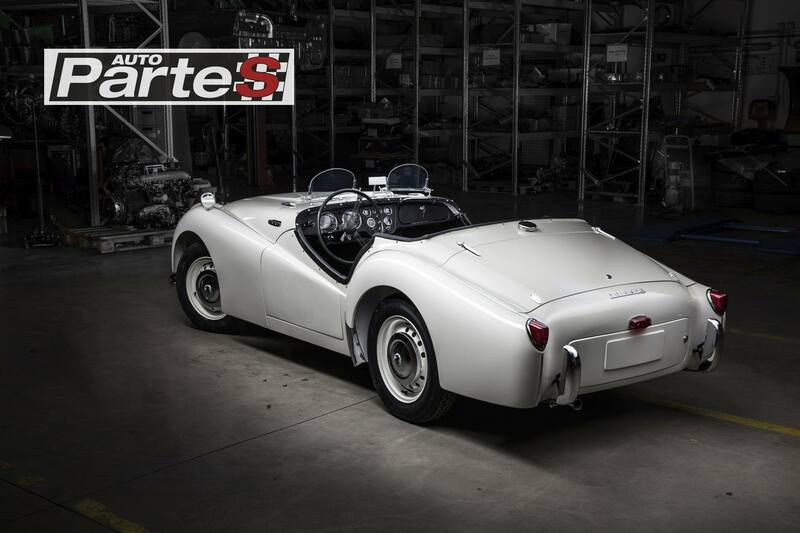 Because of their conservative design and construction, these MGs have a nice classic look. 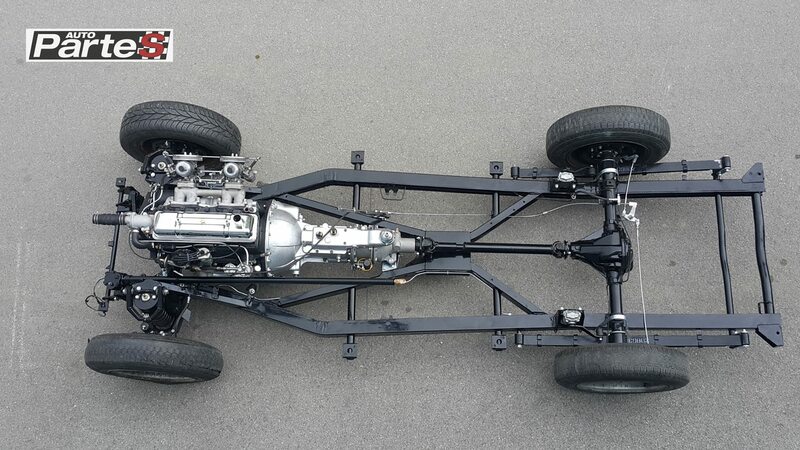 The Abingdon factory used a modified ladder chassis and a body with an ash wood frame. 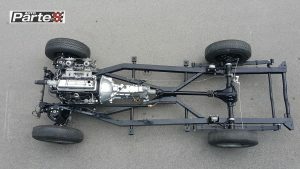 Due to the low weight and at the time modern front suspension (used in modified form until 1980) the car had good handling characteristics. 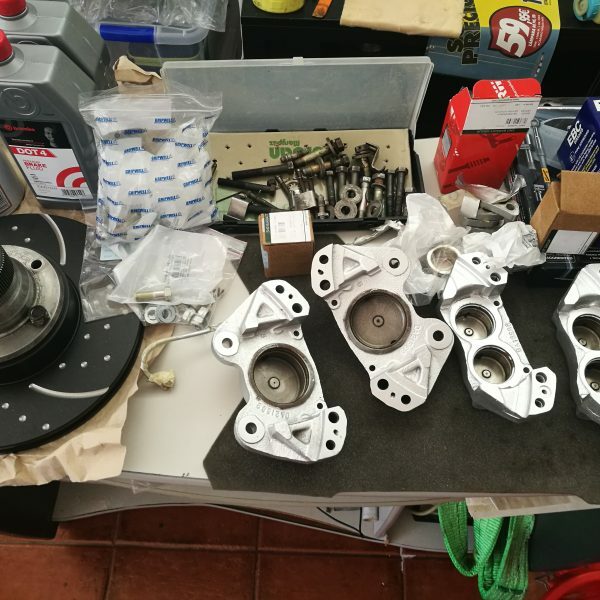 A point of criticism however was the meagre performance of the 1250 cc XPAG engine. MG took the criticism seriously and improved the engine with the introduction of the TD Mk2 competition. In total, almost 30,000 MG TDs were produced; only 1700 of them were Mk2s. 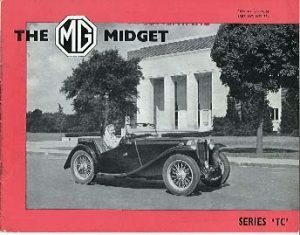 The TD was succeeded in 1953 by the further modified TF, which was replaced in 1955 by the all-new MGA. 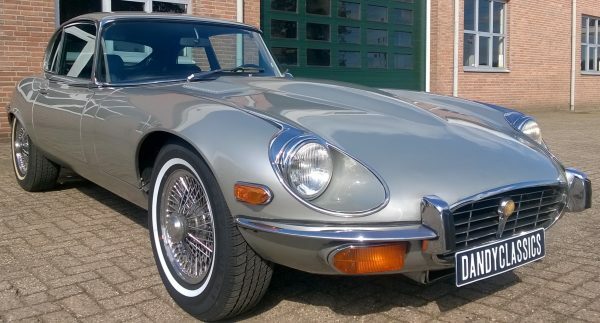 Dandy Classics has a collection of british sports cars for sale. 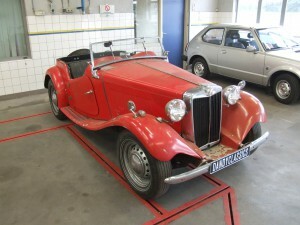 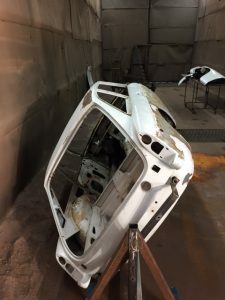 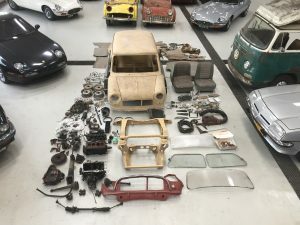 Are you looking for a project MG to restore? 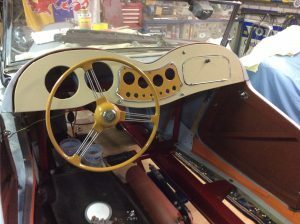 Or do you prefer an already restored car that is ready to be enjoyed? 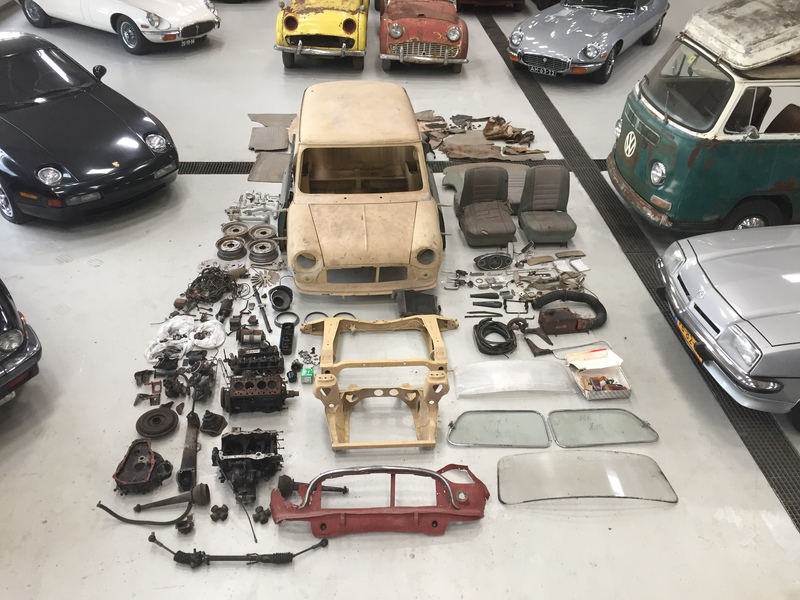 Take a look at our current collection. 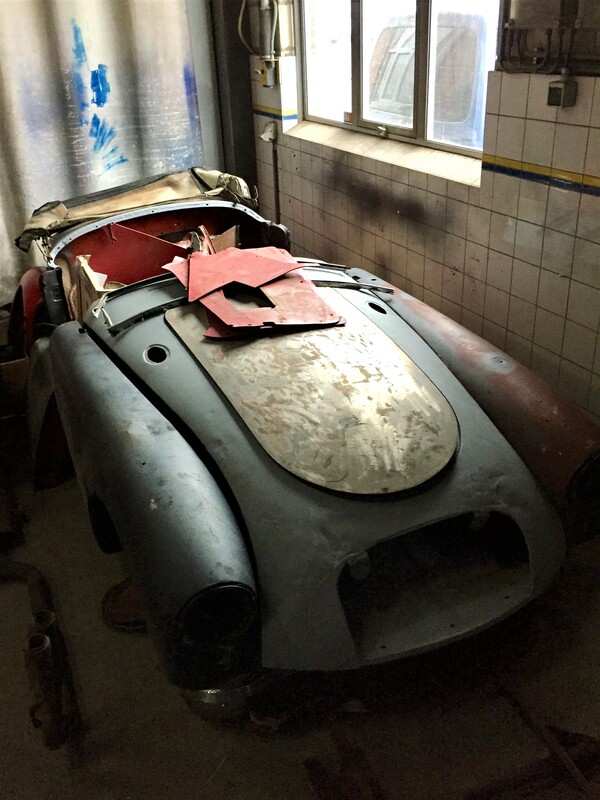 The term barn find, although much used these days, does not completely apply to the 1955 Triumph TR2 featured here. 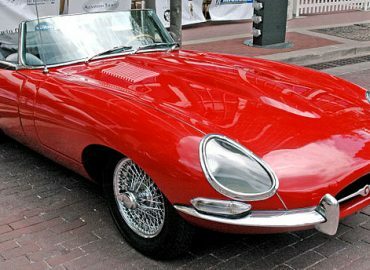 We bought this car 3 years ago in Idaho, USA. 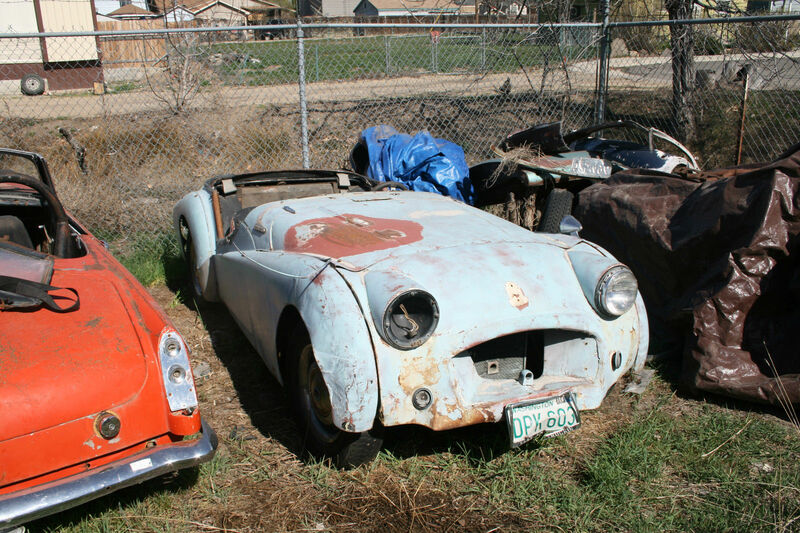 It had been parked outside under a tarp, awaiting better days. 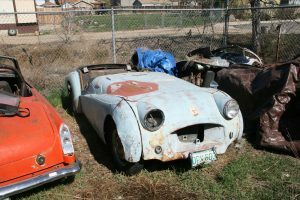 The short door TR2 was battered up after a rough life as a track car, and was probably stored with good intentions for decades. Although the history has been lost, one could imagine this car having gone through the hands of generations of car enthusiasts with big dreams and little time or means. 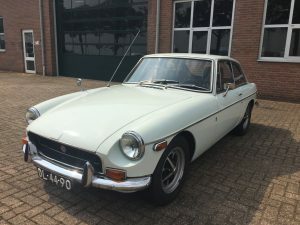 Who would have thought that it would one day be pulled onto a trailer and brought to the San Fransisco bay area for a container cruise to Rotterdam?. Once the TR had arrived at our shop, it was featured in an article in Autoweek Classics in 2015, together with a Triumph TR3A in similar condition. A professional photo shoot captured the raw beauty of a worn and weathered sports car for hairy chested amateur racers. 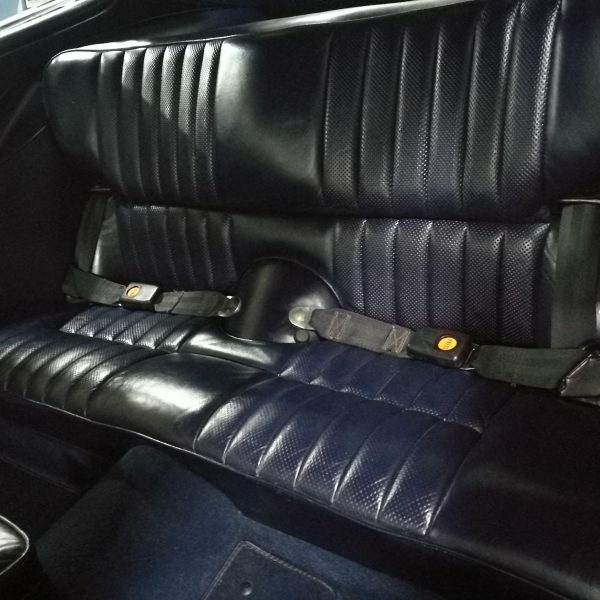 But this was still an automobile, not a museum relic. 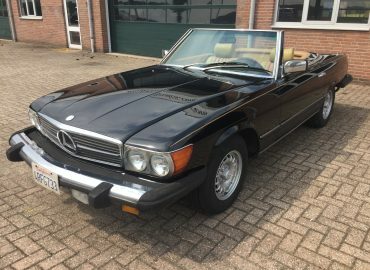 It deserved to be brought back to former glory. 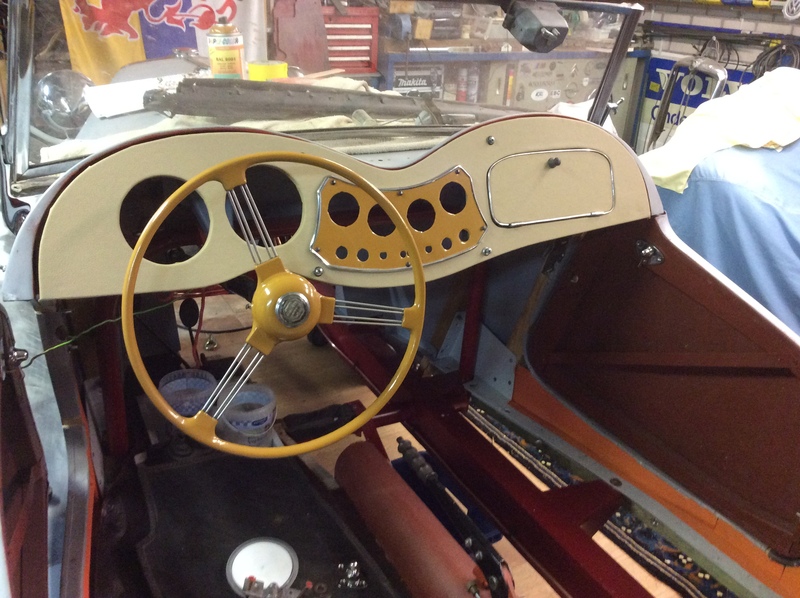 This was certainly not going to be a job for just anyone; it needed the dedicated attention of skilled craftsmen. 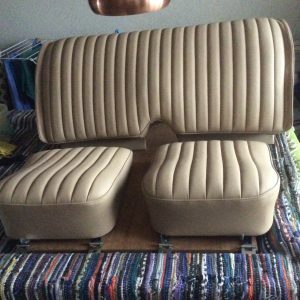 Luckily, we sold the car to a man who knew what he was up to. 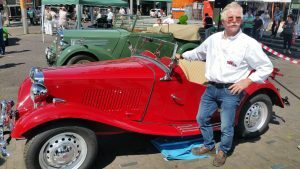 As a marque enthusiast, he already owned several other Triumph sports cars. 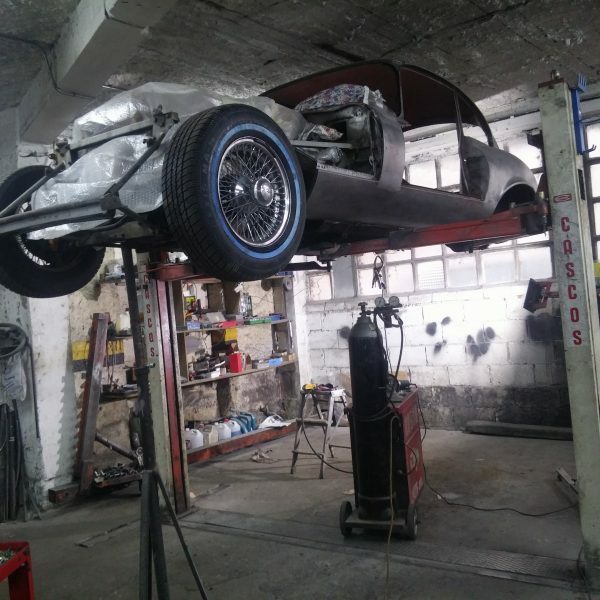 He brought the car to a restoration shop in Zagreb, Croatia. 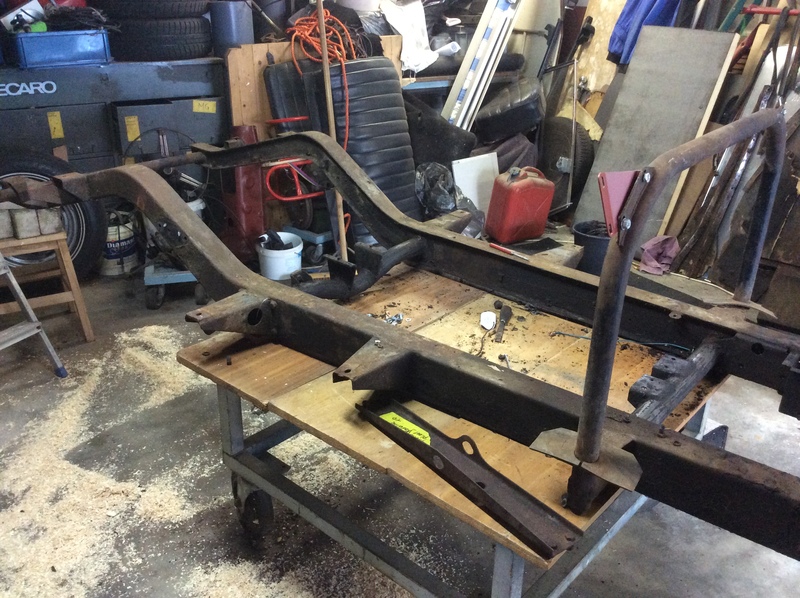 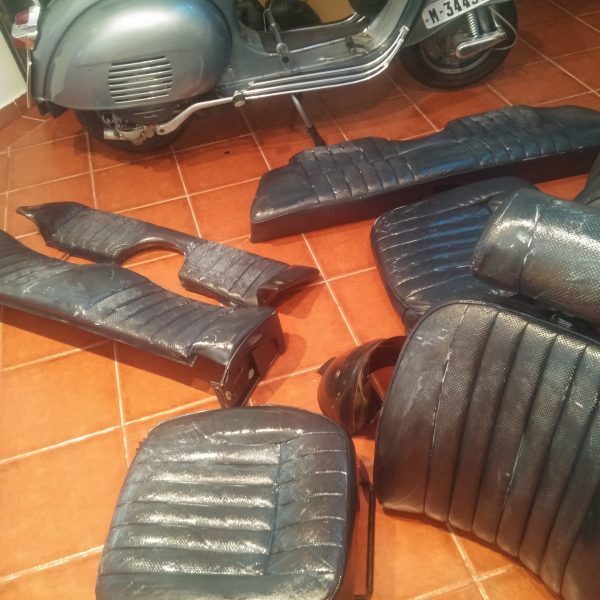 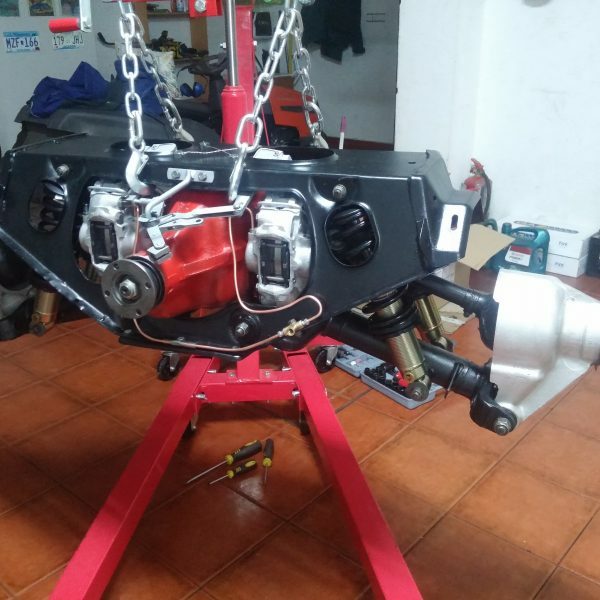 A nut and bolt restoration was started. 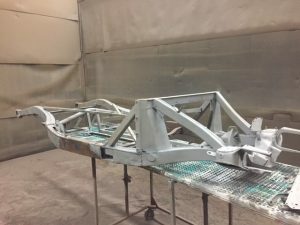 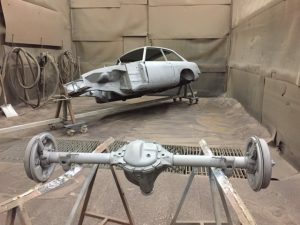 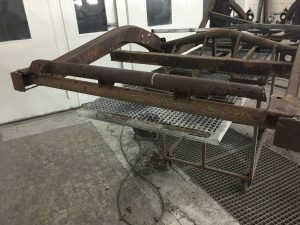 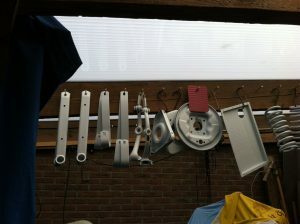 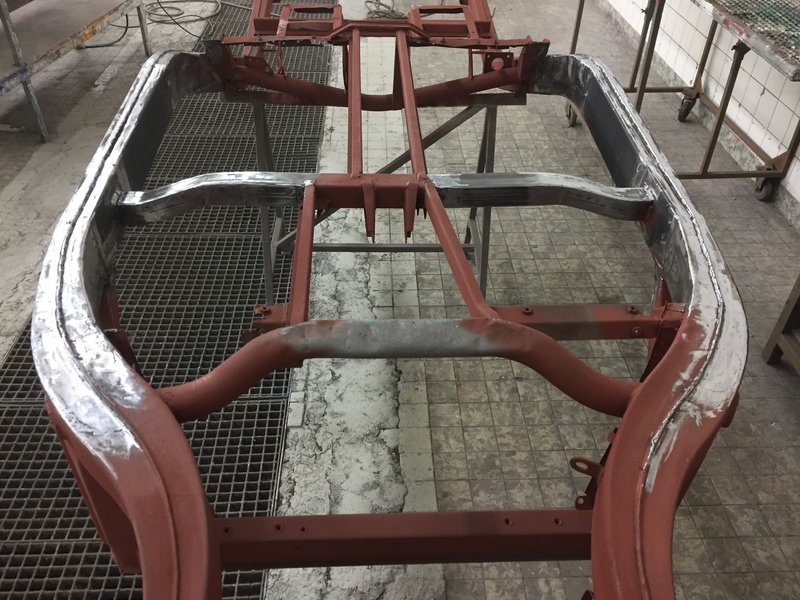 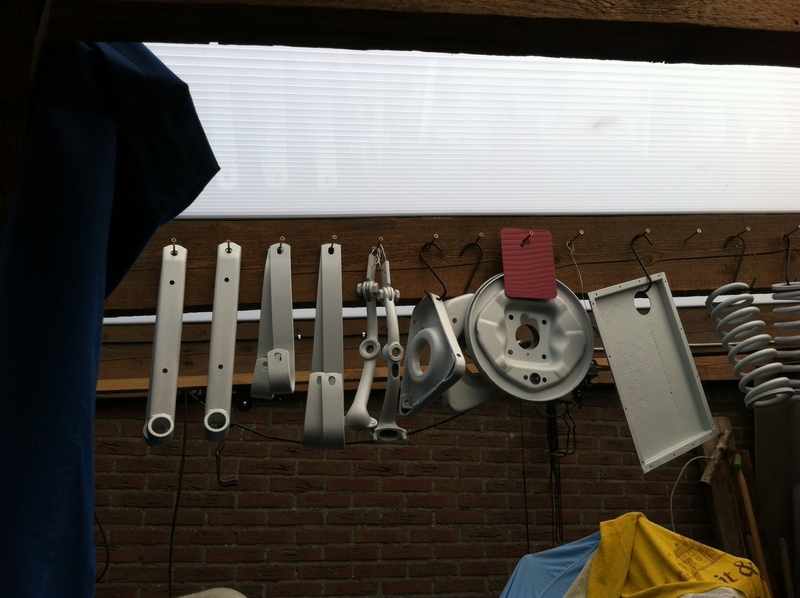 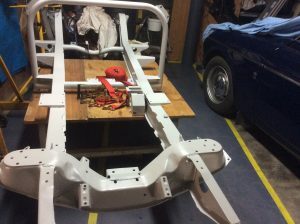 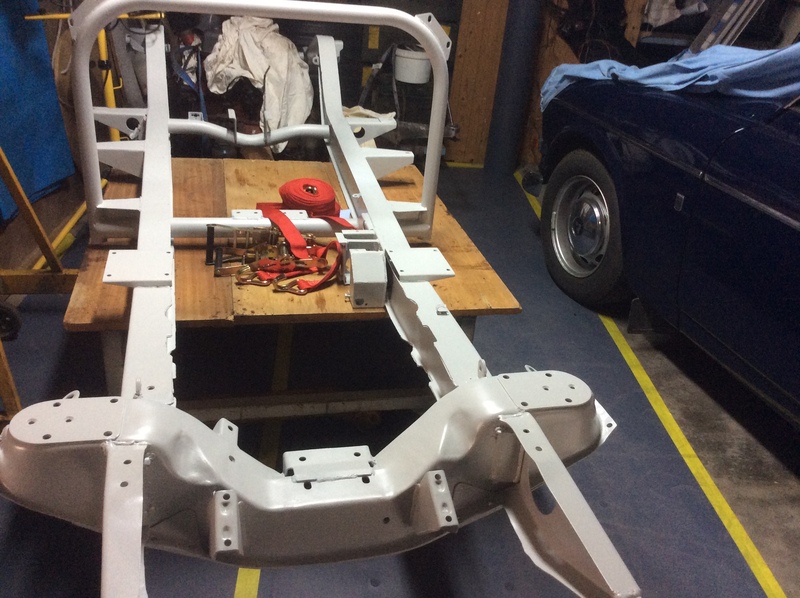 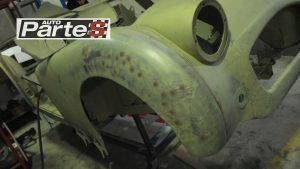 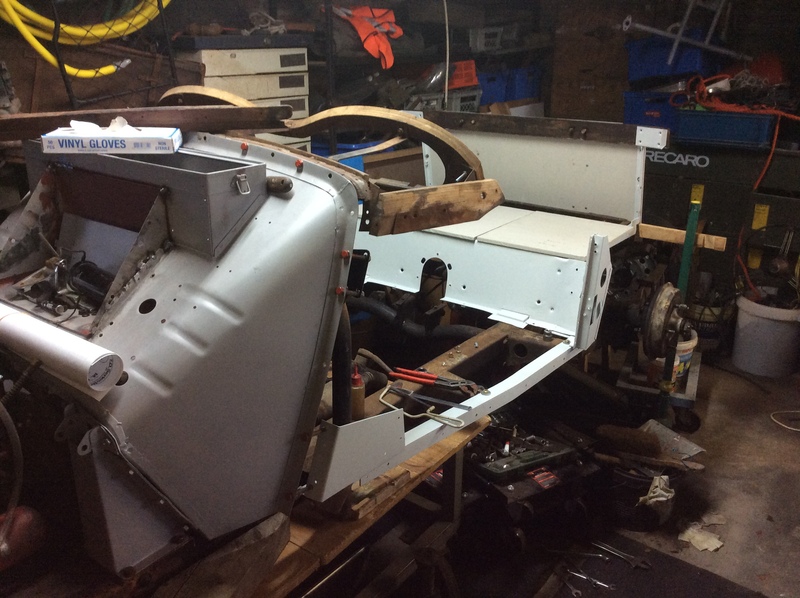 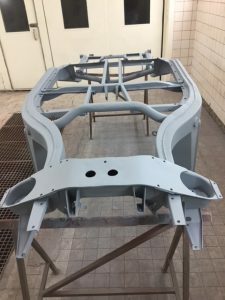 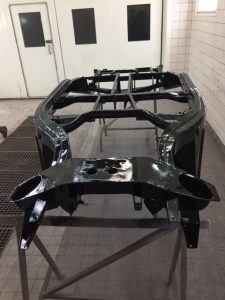 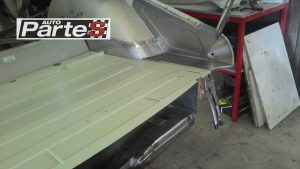 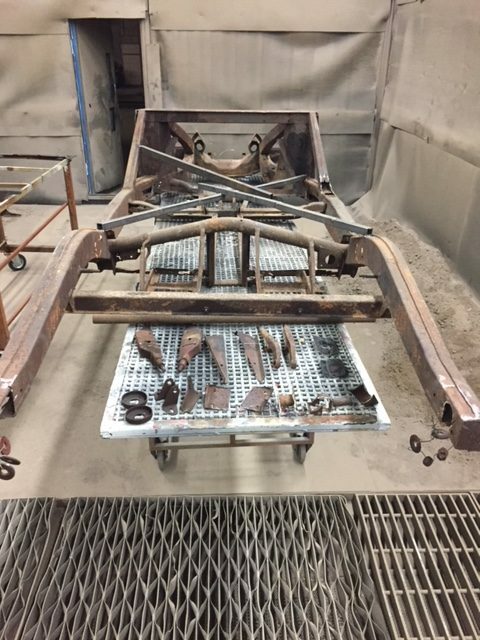 Chassis and body parts were bead blasted, and all eaten away metal was either replaced or repaired. After seeing the first pictures of the restoration, we were very impressed with the level of quality. 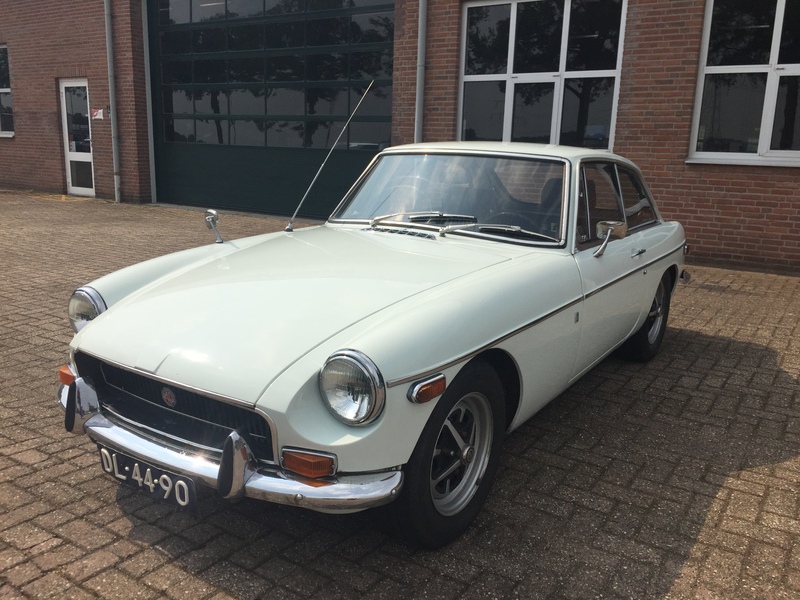 Definetely a Triumph for the men who brought this car back to pristine condition! 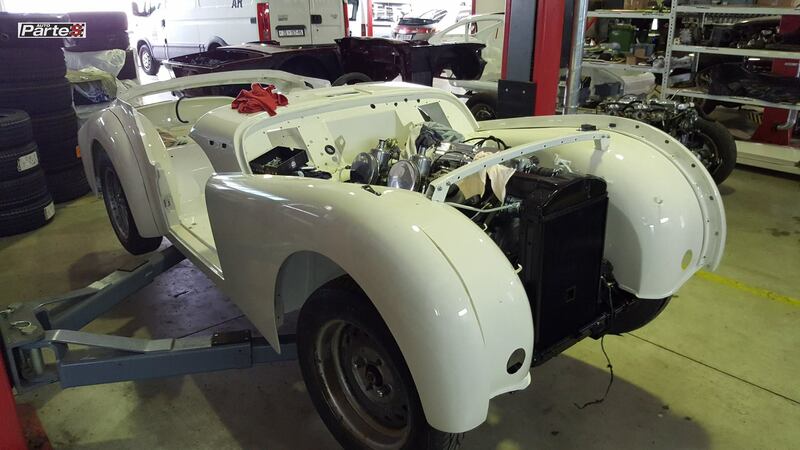 We let the pictures speak for themselves - enjoy the rebirth of a Triumph TR2 in a nutshell! 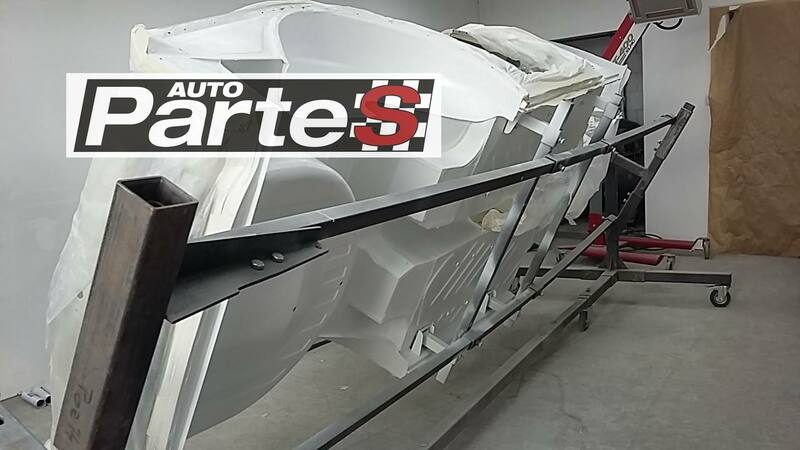 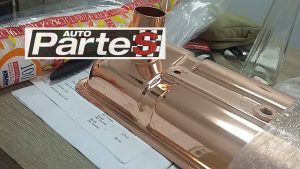 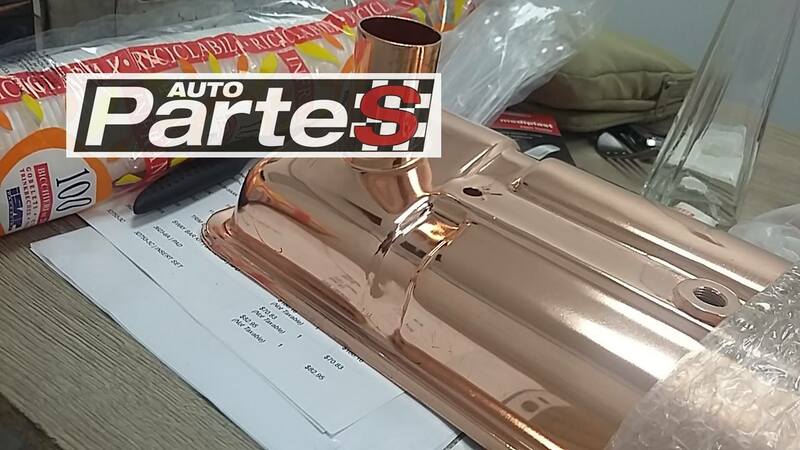 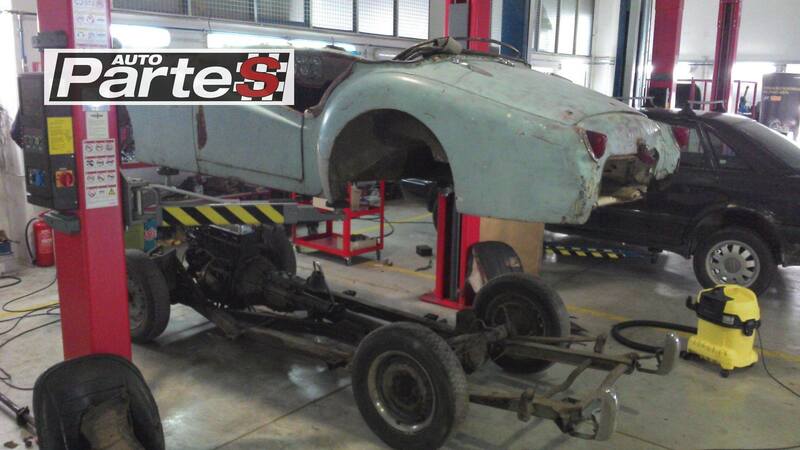 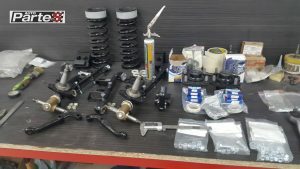 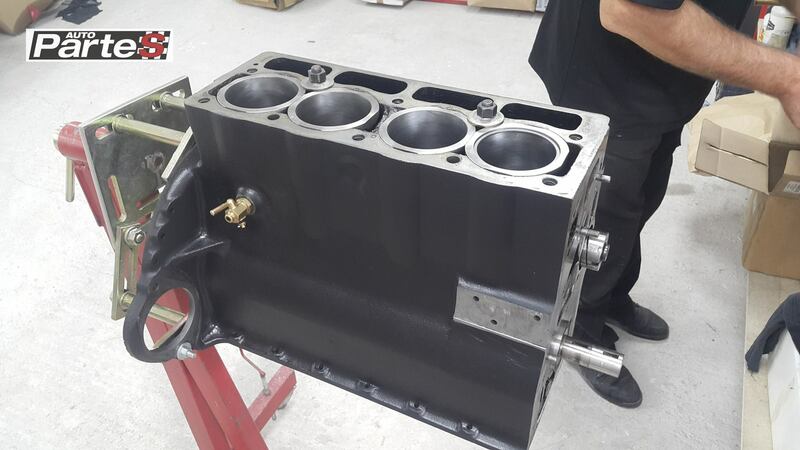 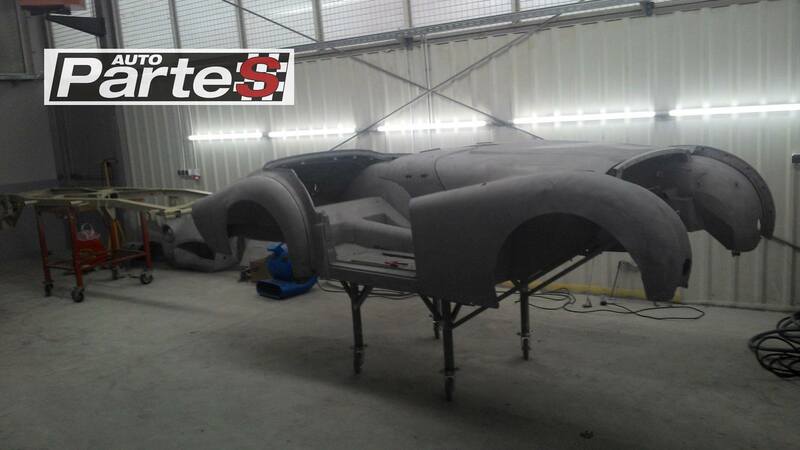 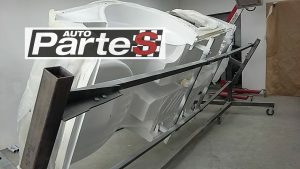 Photos courtesy of Auto Partes in Zagreb, Croatia. 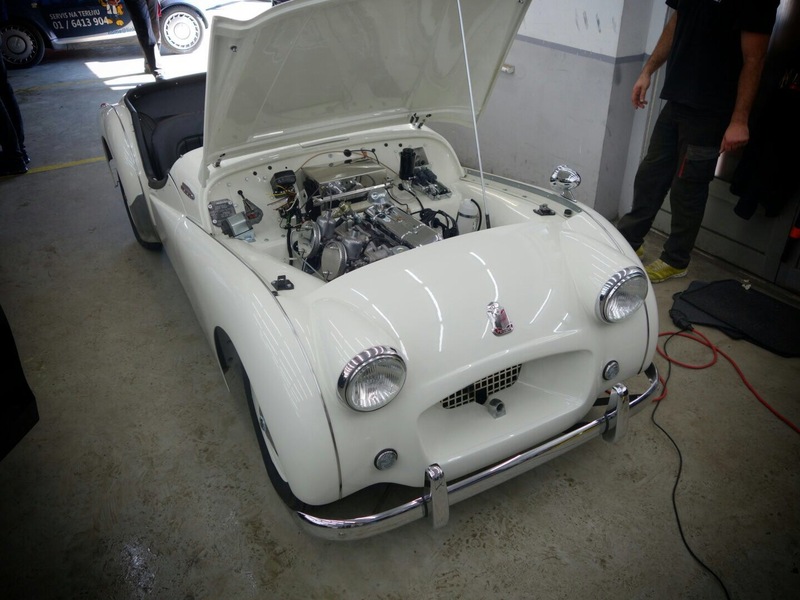 The Triumph TR2 was introduced by the Standard Motor Company in 1953. It was clearly aimed at the lucrative US sports car market, where it quickly became a succes. 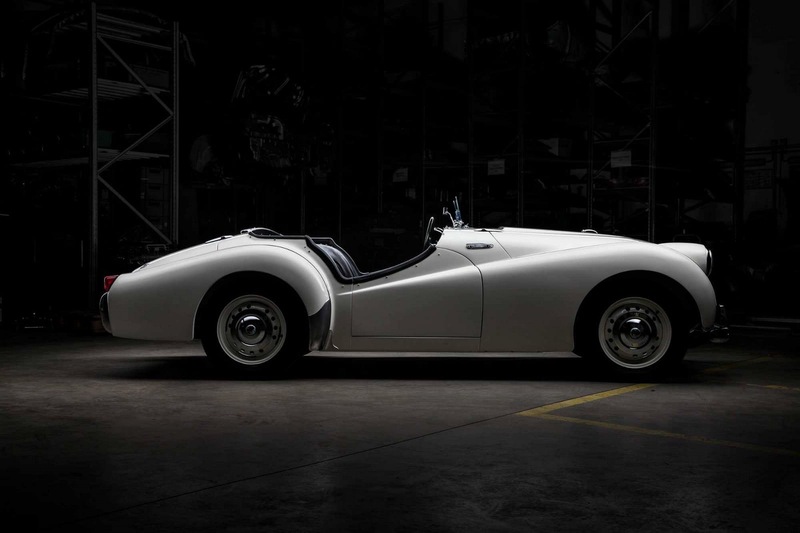 The TR2 had succeeded the underpowered and conservatively-styled Triumph sports roadster. 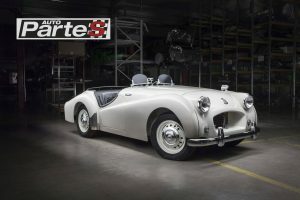 Developed on a new ladder chassis, using readily available Standard parts, the TR2 offered superior styling and performance for its modest price. 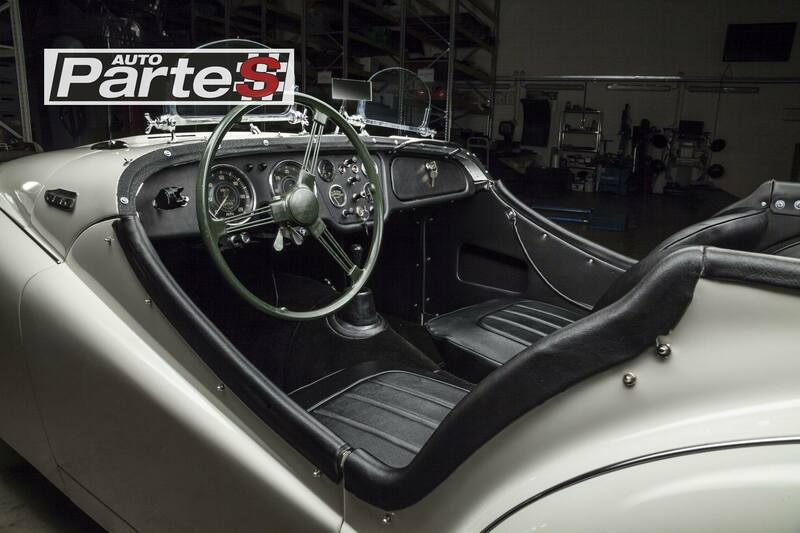 With a production total of 8636, the TR2 is one of the rarer Triumph sports cars. In 1955 it was succeeded by the TR3, which continued to sell very well. 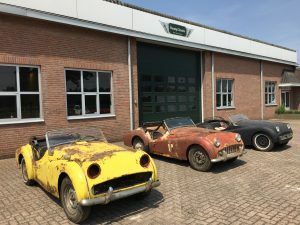 Total TR3 and TR3A sales amounted to almost 75.000. 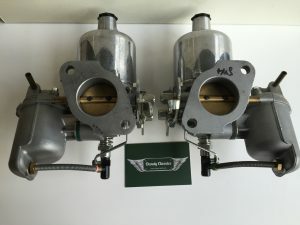 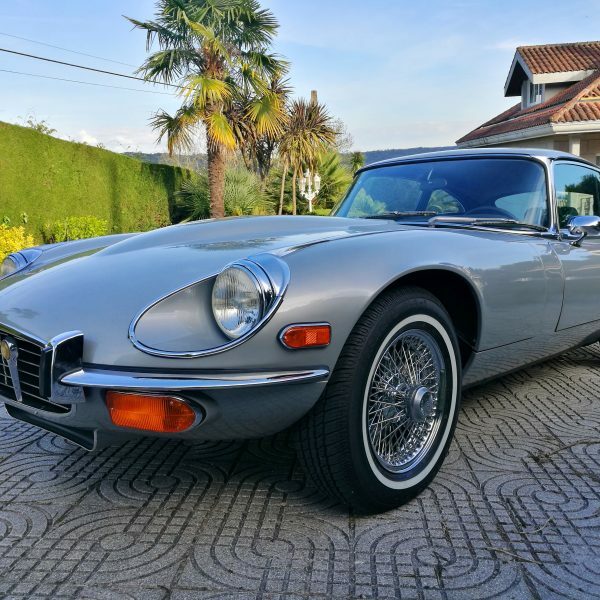 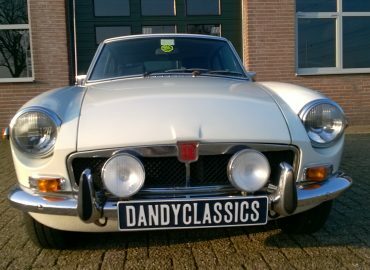 Dandy Classics buys and sells classic british sports cars. 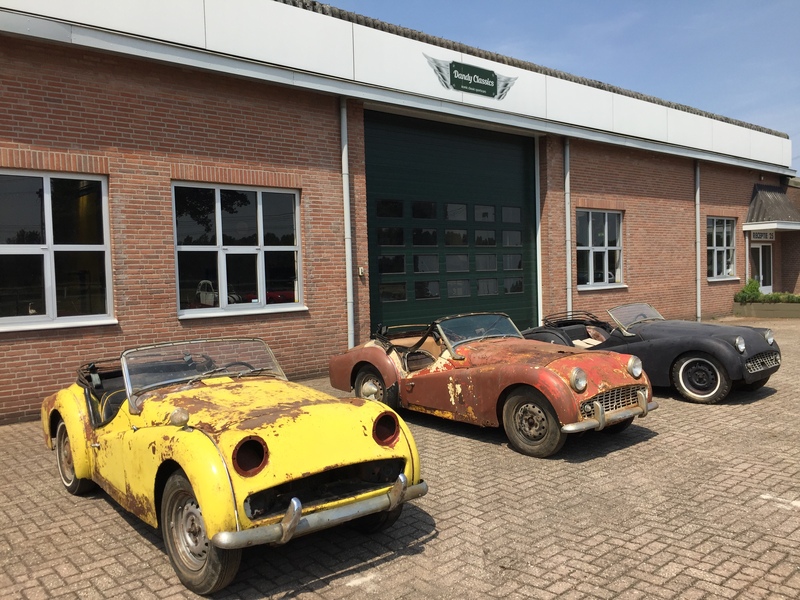 We have a continuously changing stock of unrestored project cars. The TR2 featured in this article was acquired together with a TR3A in similar condition. 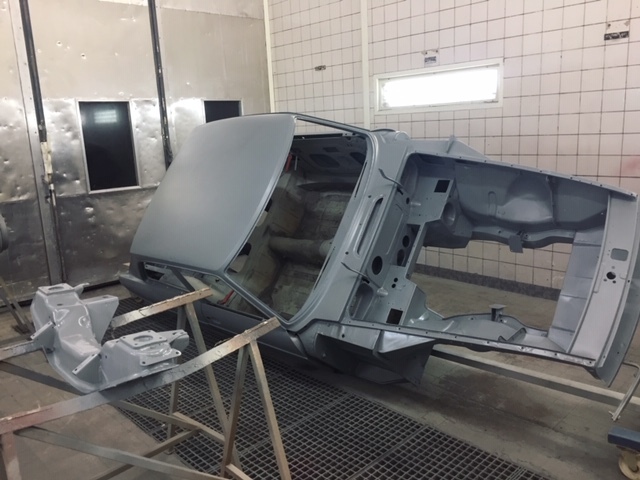 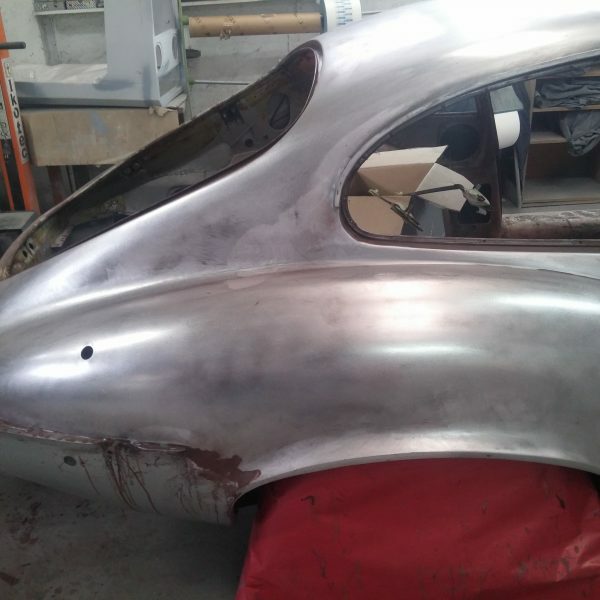 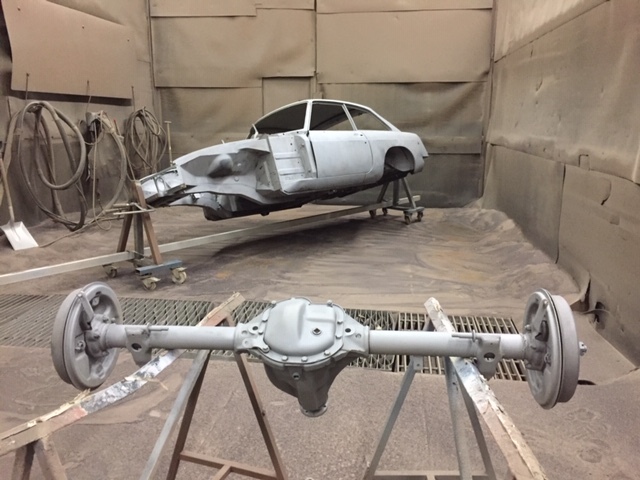 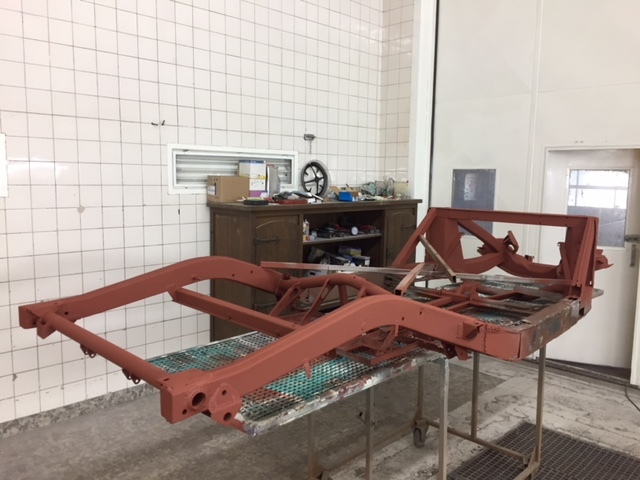 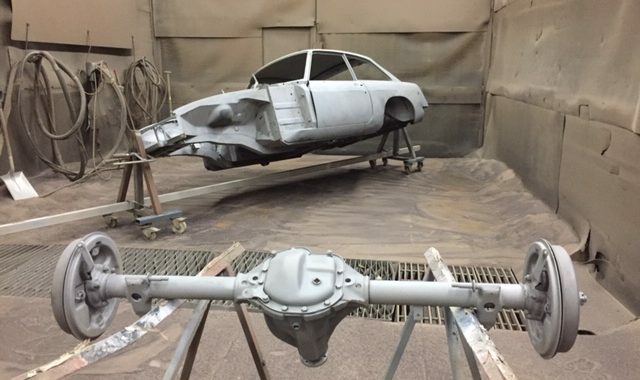 The latter car is still in the process of being restored, and we hope to publish pictures of the end result in the near future. 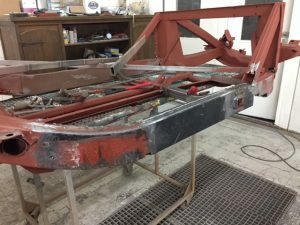 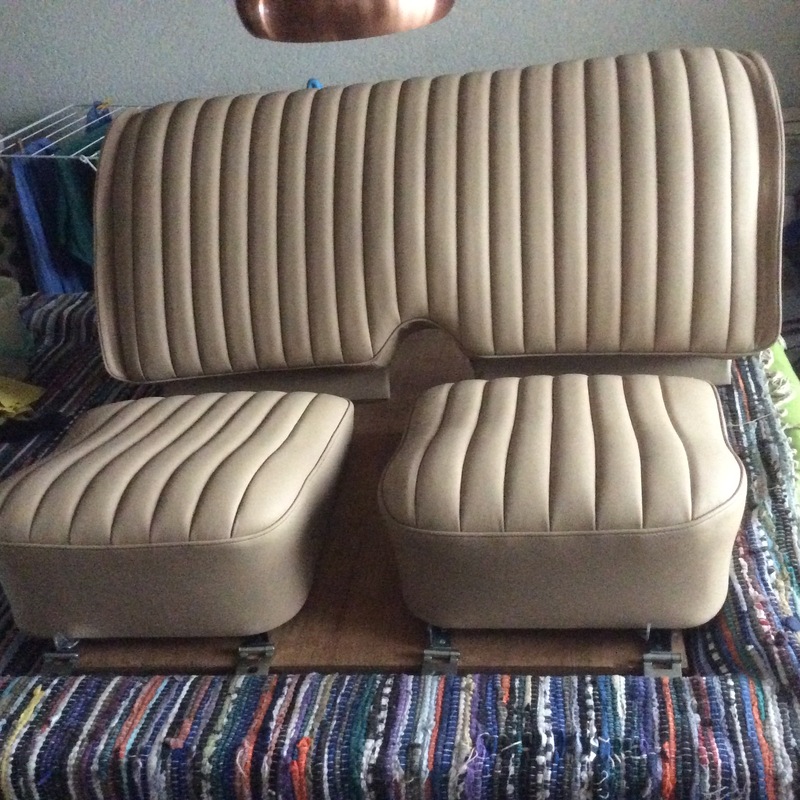 Interested in a similar project? 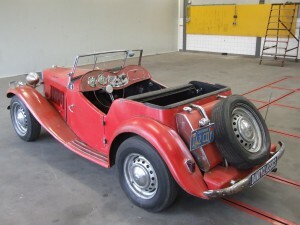 Go to our collection page for an overview of Triumph TR sports cars for sale.